Its that time of year again. Ghosts, and Goblins, and Creatures of every size will be looking for treats. Fall parties and Harvest festivals are great times to get together and a Perfect time for America’s favorite treat – Kernel Encore’s Gourmet Popcorn. Pumpkin Pie, Pumpkin Swirl, Caramel. Maple. Cheddar, Creepy Corn, Caramel Apple, Garlic and Butterscotch just to name a few. 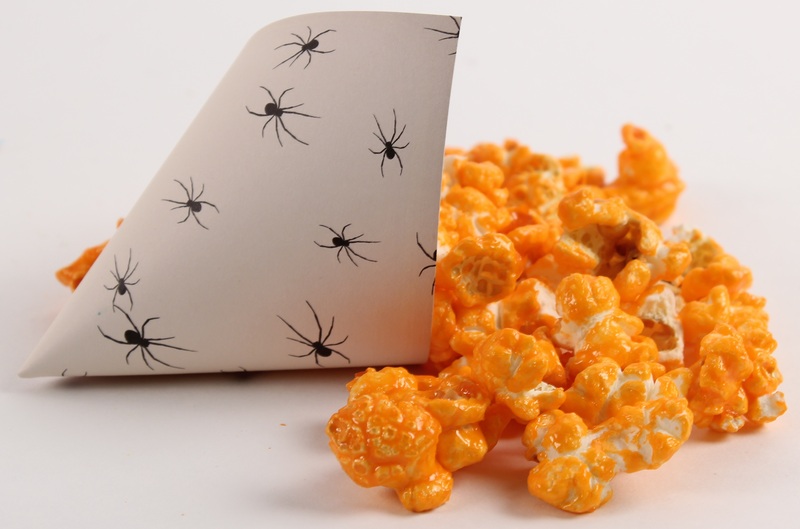 Get a Fall, or Spooky tablecloth and place apothecary jars on your table and fill with popcorn. Place serving cones in two containers on either side of the popcorn. Don’t forget the scoops. Place a sign with that says ….. Please fill these up with treats Galore, but don’t be shy come back for more. Happy Haunting, and don’t get caught without Treats for those goblins, I hear the Trick could be scary!